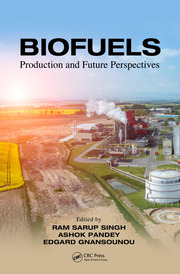 This book presents the evolution of biodiesel technologies along with government policies of major biodiesel producing countries with their backgrounds, impacts, changes, and other energy forms. 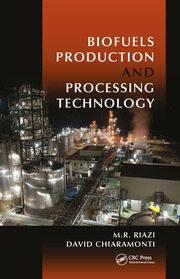 Biodiesel feedstock and biodiesel production technologies including green algae and methanol are presented as separate topics. 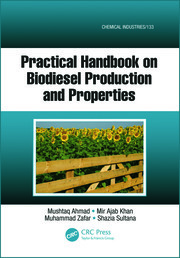 Changes in the feedstock types and the corresponding technologies are presented, and their impacts on the biodiesel policies are explained. 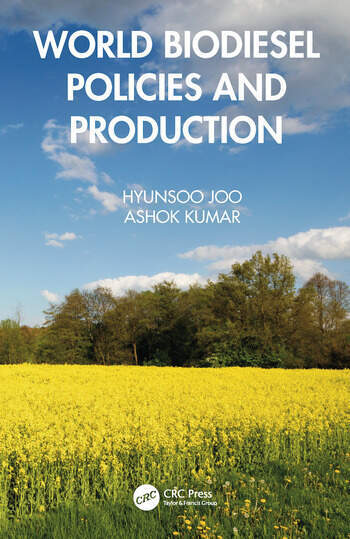 The life cycle analysis (LCA) in research and policy design of biodiesel is discussed and the findings　are given for different feedstocks in terms of greenhouse gases, energy, and other impact categories. Dr. Ashok Kumar is a professor and chair of Civil and Environmental Engineering at The University of Toledo, Toledo, Ohio. Before coming to Toledo he worked for Syncrude Canada Ltd. as an atmospheric physicist where he developed, planned, and conducted studies related to the dispersion of emissions of a tar sands plant. Dr. Kumar received his Bachelor of Science in Engineering (Honors) from Aligarh University in India (1970), his Master of Applied Science from University of Ottawa, Canada (1972), and his Ph.D. from the University of Waterloo, Canada (1978). He is registered as a Professional Engineer in the Province of Alberta, Canada and is a Diplomat of the American Academy of Environmental Engineers. He is a fellow member of Air and Waste Management Association (A&WMA). Air and Waste Management Association presented him with L. A. Ripperton Award for distinguished achievement as an educator in the field of air pollution control in June 2003. He was conferred honorary membership in A&WMA in 2014. His research work has focused on finding innovative solutions to fundamental and applied problems in air quality, risk analysis, and environmental data analysis. He worked on biodiesel projects from 2004 to 2016 funded by the Department of Transportation through three different DOT university centers. Dr. Hyun Soo Joo is currently a chief research fellow and director of Department of Atmosphere and Climate Change Research at Korea Environment Institute (KEI) in South Korea. His research area is air quality management, waste management and environmental impact assessment. Dr. Joo received his Bachelor of Science in chemical engineering from Seoul National University, Korea (1989), his Master of Science in environmental assessment from McGill University, Canada (2007), and his Ph.D. in chemical engineering from the Auburn University, USA (1997).